I bought a MySol Diamondweave Caribe a while ago, second hand from a lovely mamma in the Brisbane Baby Wearing Community. It was so pretty, and while I would’ve preferred a rainbow of some sort, I heard that a Diamondweave was very soft, so was keen to give it a try. It arrived, and it was lovely! Two different colours on either side (can be worn either side out), one being a light almost aqua colour, and the other a light brown/ran colour. It was my first Mei Tai, and it was so easy to use, I soon wrote off all my other soft structured carriers (full buckle, mainstream brands). It has a padded waist band that can be threaded through two different areas depending on the length of your baby, and has a drawstring between their legs that can be used to cinch it to create the perfect seat for your baby. It also has padded shoulder straps. It was very easy to use and understand, and came with an instruction booklet, a chest strap for back carrying, a little bag that can be threaded on to the waist strap to hold your keys/phone/wallet, and a little carry bag to store it all in. 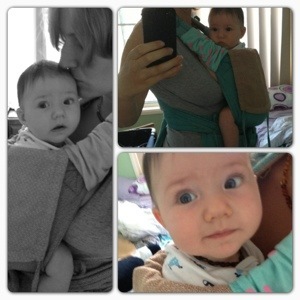 This carrier was super soft and floppy, and easy to adjust. It is VERY newborn (squish) worthy. 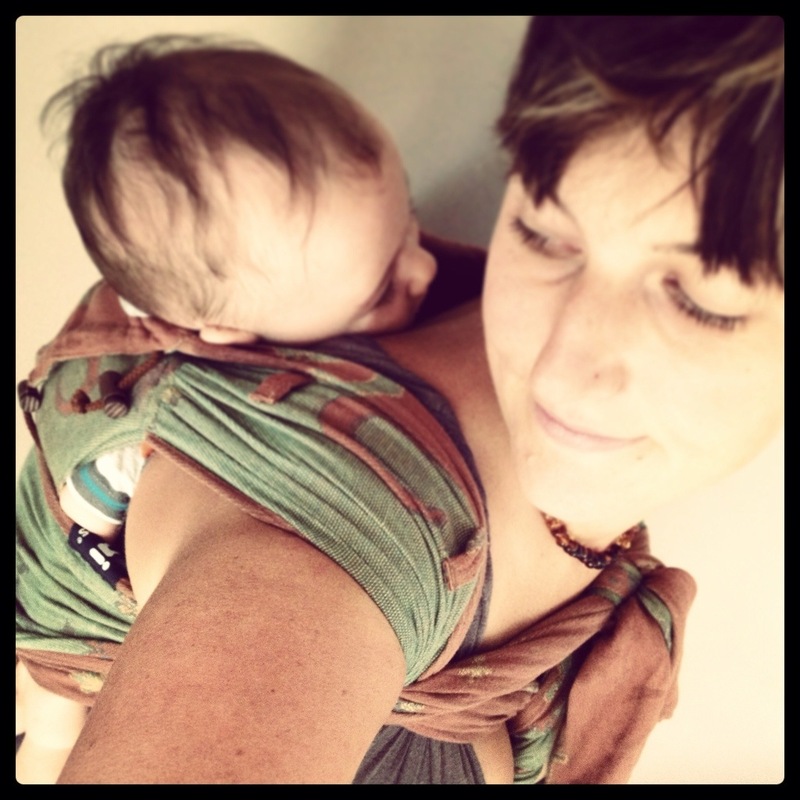 I lent it to a lot of my friends who had newborns to welcome them to the world of babywearing. My partner chose it as his preferred one (and he dislikes babywearing as it is “too hard” and “uncomfortable”), and said he would use it, so I guess that is saying something! Negatives I found, I don’t really like padded straps, they seem to work towards my neck and/or seem to dig in to my shoulders when wearing bub for extended periods. I also found, by having some lovely petite friends, that the padded waist band did not allow for a tight fit around their waist, and therefore did not allow for bub to sit in the optimum position for mum and bub for all users. I was not able to check this, but it could possibly be an option to double it over and tie it under the babies bum instead, if you were too petite, which is what I could do with some other MTs I have now (I am not petite enough to be able to do this tie in the MySol, but could tie it normally). I discovered that I prefer wrap straps on MTs, so when another friend was selling her DidyTai Geckos I jumped at it. It arrived while we were on holiday, unfortunately (the day we flew out!) so didn’t get to try it until we got home. I liked the colours, an was surprised how much I liked the geckos, with even DP saying he really liked the look and colours (& tuataras on it – bloody kiwi!). The DidyTai has no padding what so ever, and a drawstring in the middle of one side of the carrier to cinch it. I don’t fin this ideal, as if the knot was to sit under babies bum, babies who don’t wear thick cloth nappies may feel uncomfortably by it. It also makes it harder to adjust while babies is in it, to be able to get the perfect fit. There is also only one setting for height, meaning you will need to fold it over I you need a shorter body (not required for my giant 6month old though). I find the DidyTai a lot more comfortable for me than the MySol. I also find it cooler as it doesn’t feel as thick without the padding that is in the MySol. I feel the DidyTai hugs baby more than the MySol, although there is no way to cinch the neck area, like there is on the MySol. And although I prefer no padding for me, I think I would prefer to have some padding around the leg area for baby, as it can leave red marks and feel as though (to me) that it is digging in to baby, although, I have never had a complaint, or sign of problems other than the red marks when taking him out. In summary, if you like padded straps, and aren’t “too” petite, I think the MySol would be the best choice, but if you prefer wrap straps, like me, than the DidyTai is a lot more comfortable, and is my choice, even without all the added features of the MySol.